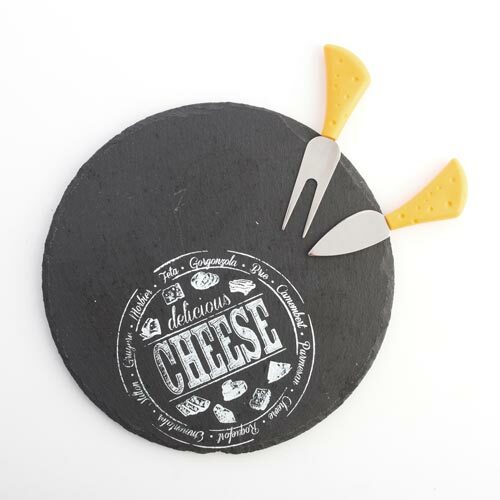 Round cheese board is perfect for serving assorted cheeses with style and elegance. Approx. diameter: 23 cm. Approx. thickness: 0.5 cm. 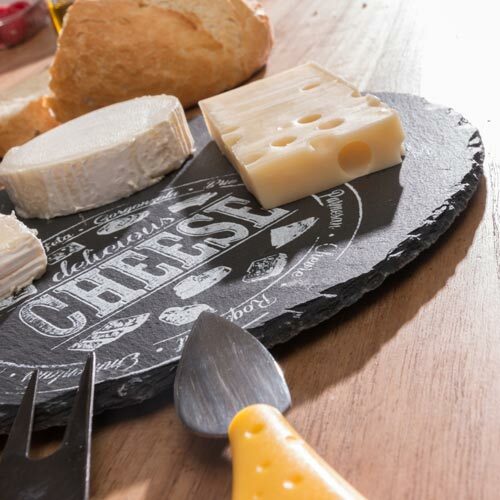 It has 4 small support points made from anti-slip foam rubber. 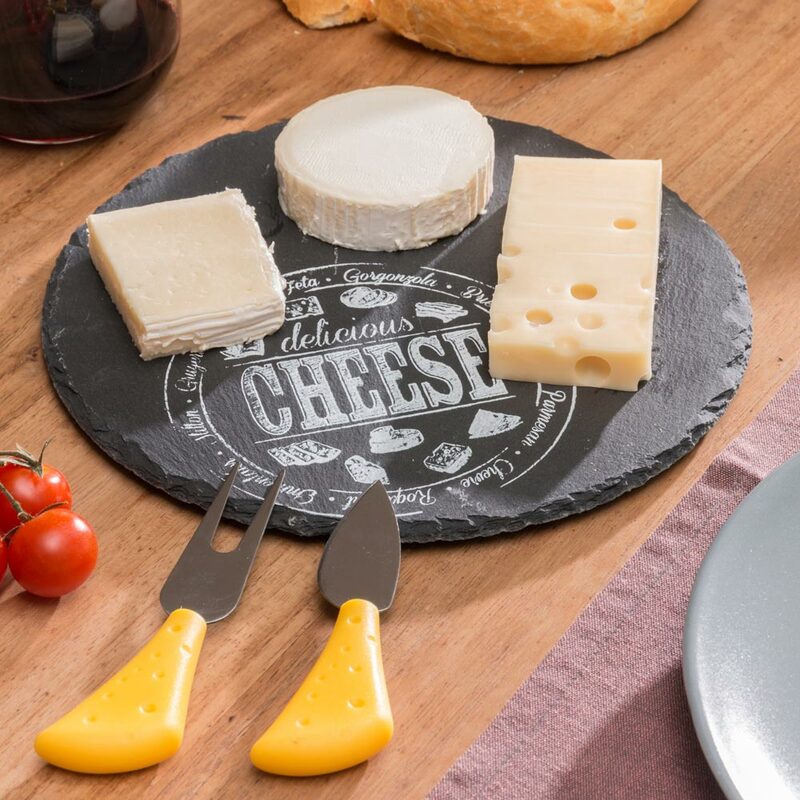 It also includes one two-pronged fork and 1 cheese knife, both stainless steel with a plastic handle in the shape of a portion of cheese.